Flawless ladies. Flawless discographies. Flawless times. 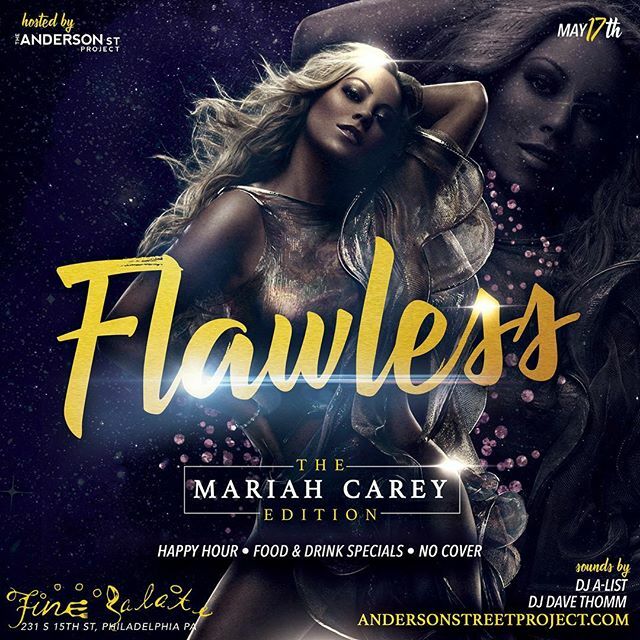 We’re EXCITED AF to announce our new monthly Happy Hour series Flawless, a celebration of the dopest ladies in the game and their flawless bodies of work. Next Thursday, we will be kicking the series off with a tribute to the one and only #SkinnyLegend, Mariah Carey, courtesy of DJs A-List and Dave Thomm. No cover! Drink and food specials will be available. It’s happening at Fine Palate (231 S 15th Street) from 6-9pm. Just RSVP via the form below!